I bought my first pair of tango shoes in Buenos Aires, black and silver with the smallest heels they had at Flabella on Suipacha street. I danced my first tango in my new shoes on my last night at Maldita Milonga in the dimly lit Buenos Ayres Club on Peru street. Earlier that day, I had seen El Afronte playing at the San Telmo Market and when I bought their CD, they had given me a ticket to one of their milongas. I often listened to that CD after I got back home and it always reminded me of my (re)-start into tango. A teacher I took classes with in Buenos Aires once described their modern interpretation of the classics as “tango heavy metal”. Almost three years, two pairs of tango shoes and many hours of dancing later, I was back where it all began for a week of dancing tango in Buenos Aires. 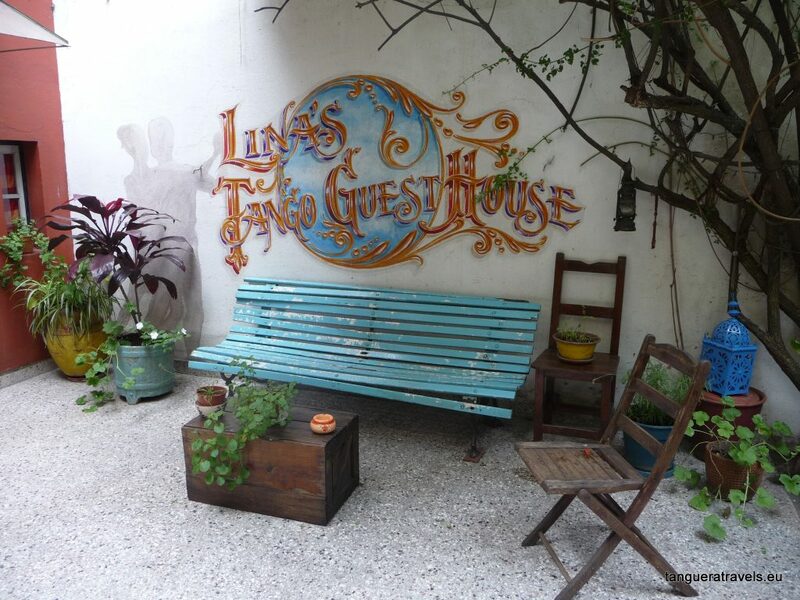 I stayed at Lina’s Tango Guesthouse in San Telmo, where I had also stayed during my last trip. 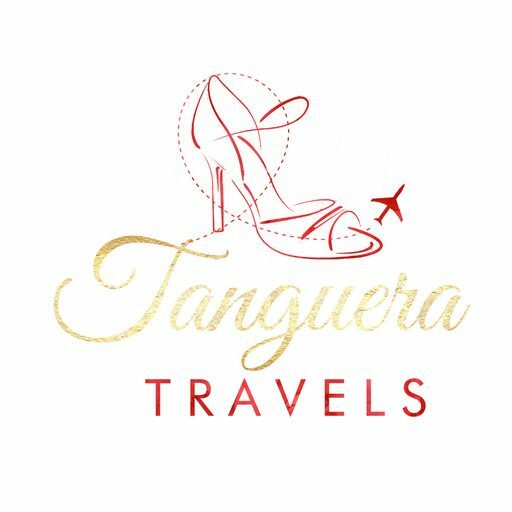 If you are travelling alone, staying in a tango guesthouse can make it easier to get to know fellow tangueros and tangueras. 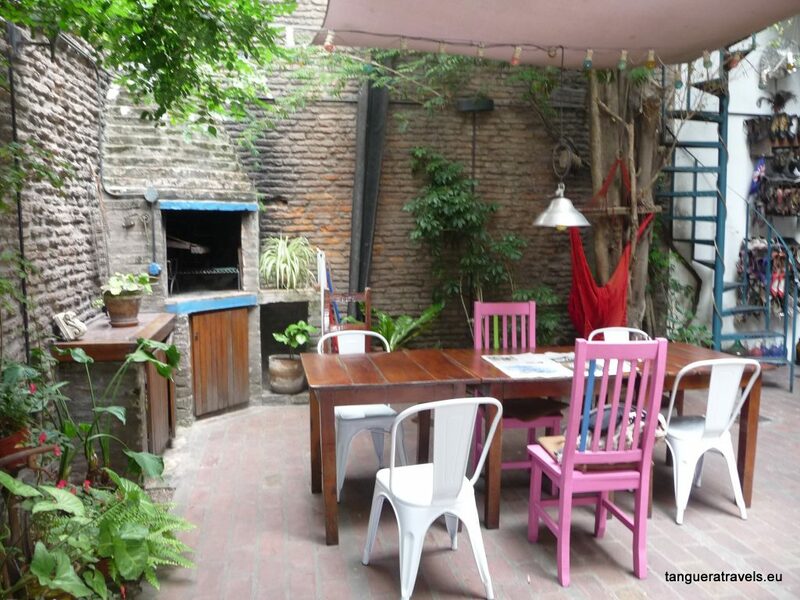 There are others in Buenos Aires, but the only ones I have stayed are Lina’s and Caseron Porteño, which has unfortunately closed down since my last trip, although it still offers some tango services (which I have not tried). Lina is a wonderful host, who also dances tango and is happy to give tips for the local milongas, as well as for Buenos Aires generally. So it’s not just for those interested in dancing tango. In fact, some of the guests I met this time weren’t dancers. 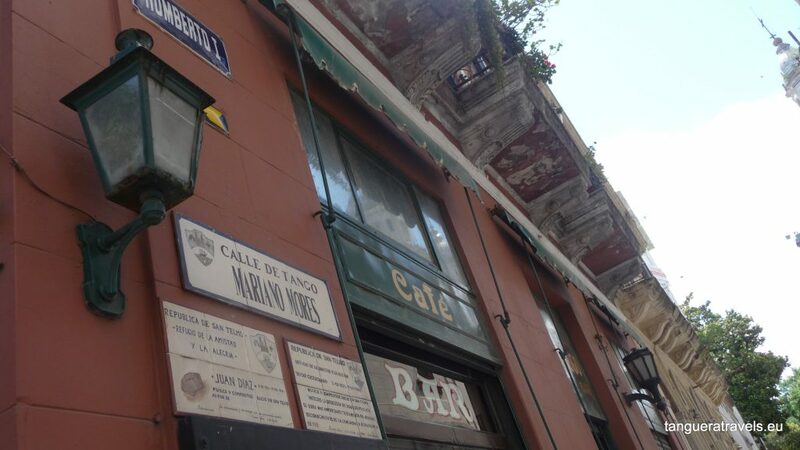 Lina’s guesthouse is very centrally located, about 20 minutes walking to Plaza de Mayo and it’s just a couple of minutes walking distance from San Telmo market. 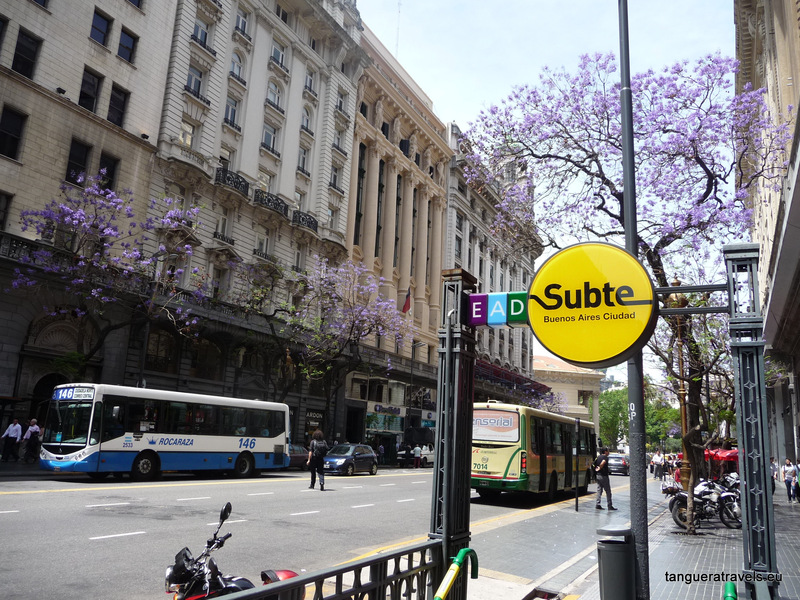 The nearest Subte station is Independencia. As there are only 5 rooms it has a very cosy feel, but this also means you need to book in advance! Back to where I danced my first ochos to tango heavy metal in my new shoes with their little heels. Now here I was, with my 6cm Bandoleras which I had bought the last time I was in Berlin. Although the composition of the El Afronte orchestra was different, the singer was the same and they were still incredible. It didn’t feel like much had changed. Their milongas continue to attract a younger crowd, as well as a lot of tourists. The atmosphere is completely different from a traditional milonga: no fixed seating and more verbal invitations rather than cabeceo. I went to this milonga twice during my second stay (Wednesday and Sunday) and both times I danced a lot, but there were more people on Wednesday. This is worth going to for the live music, even if you don’t want to dance. It’s only about 10 minutes walking from Lina’s. Note that when El Afronte is playing (around 30 minutes) there are no tandas, so choose your dance partner carefully! The milonga takes place three times a week and there is a class beforehand. El Maipu starts at 6pm and is a traditional milonga. Which means, if you want to dance, you have to master the cabeceo. The tables and seats were packed closely together in rows on three sides of the dance floor; a section each for men and women on opposite sides and a mixed section at the other end of the room, close to the bar. I was assigned a seat in the mixed section in the second row. After about an hour, one of the organisers came over and asked if I had come to dance or just to watch. Confirming that I did indeed want to dance, I wondered for a second whether he was actually going to invite me. I looked at him. Was this the moment when I was finally going to get the ultimate cabeceo advice? “You go out there,” he turned and indicated behind him to where I had entered, “and leave your shyness outside, then come back in again!” He patted me on the shoulder and went off to greet someone. 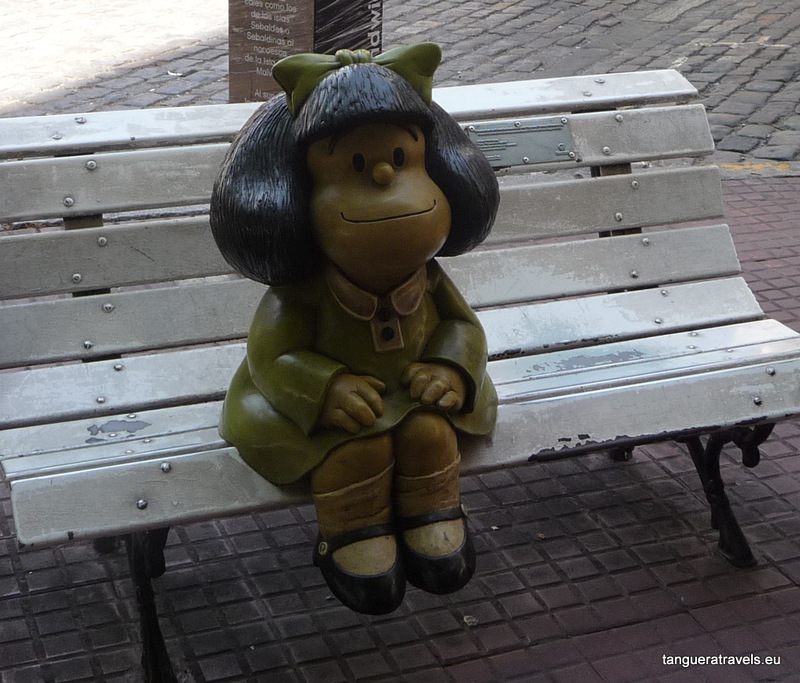 Mafalda waits, hopefully, to see if she’ll be invited for the next tanda. I know how she feels. The next day (Tuesday) I went to another early milonga, Nuevo Chiqué, and this one was a little bit less intimidating than El Maipu. I danced more than the previous day. And I got another pep talk, this time from one of the ladies sitting next to me. Again I was seated in the mixed section, this time third row, but it felt like it was easier to cabeceo than the set up at the previous milonga. Again I was asked if I was here to dance or just to observe. I obviously need to work on my body language. Again, I insisted that yes, actually I did want to dance. Really, I do. I didn’t feel I had danced enough so I finished the day with a practica on Avenida Independencia later that evening. We were just three students at this practica; myself and two guys, as well as the teacher, so it ended up being more like a class, and I enjoyed it much more than the real class I took the next day. By the time I got back to Lina’s that night, my feet were killing me, in a good way. 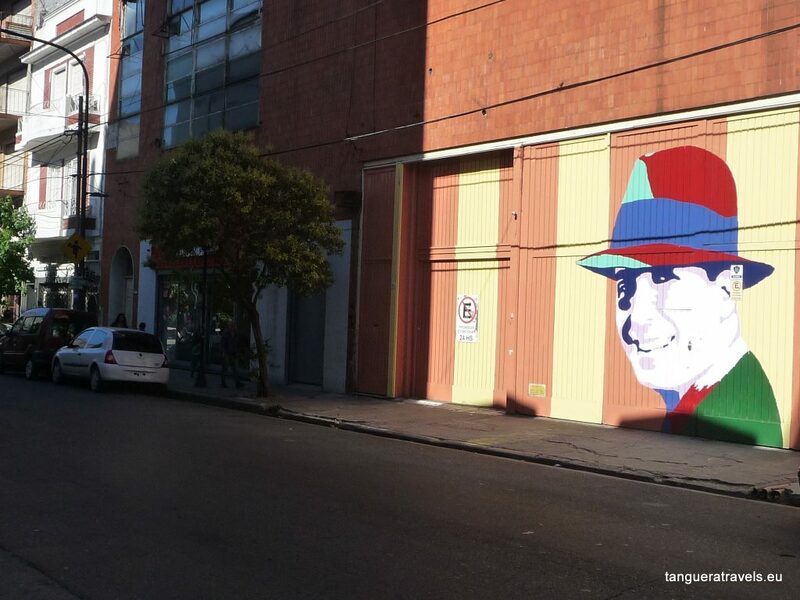 I had been hesitating about whether or not to take classes while I was in Buenos Aires. On the one hand I thought it would help to improve my confidence but on the other, there is so much choice it’s difficult to know where to start. “Forget about taking classes. Just go out to the milongas and dance, that’s how you’ll improve,” a lady I had met at El Maipu on Monday had advised me. And she had a point. I did want to go out to the milongas, take some time to enjoy the city and I was only here for a week. Ah, the dilemmas of being in Buenos Aires … In the end, I decided to try a class at the Escuela Argentina de Tango which has a branch in the Centro Cultural Borges, located on the first floor of the Galerias Pacificos in Florida Street. I had been there earlier in the week to pick up a schedule and they have classes every week day, starting from around 11am until early evening for different levels. They have discounts if you buy a card for several classes, you don’t have to book in advance and you can show up without a dance partner. I chose a class on tango milonguero, ie dancing in close embrace. This is generally not the style taught where I learnt to dance tango, yet it usually is the style danced in the milonga. 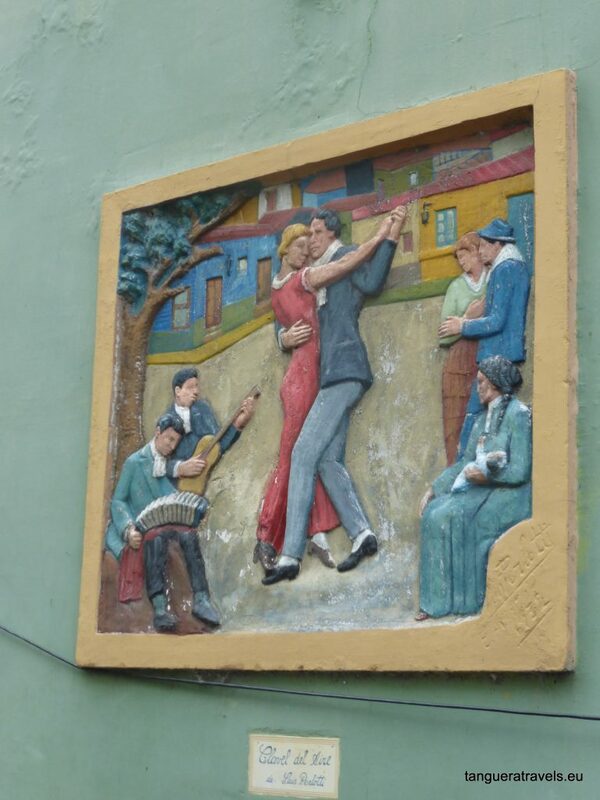 In San Telmo, where I was staying and going out, dancing at the milongas is exclusively close embrace. I thought a class going back to the basics in this style might be just what I needed. I liked the teacher and it was a small class, with just four students; two women and two men. But one of the guys I was dancing with kept telling me what to do and twisting my back. Although I was glad I’d tried a class, I decided to spend the rest of my time going to the milongas with some breaks from the tango to do other things as well. It wasn’t my last night in Buenos Aires but I’m going to finish this post with the Friday night milonga at Manzana de las Luces because it was one of the most beautiful, atmospheric places I have danced. 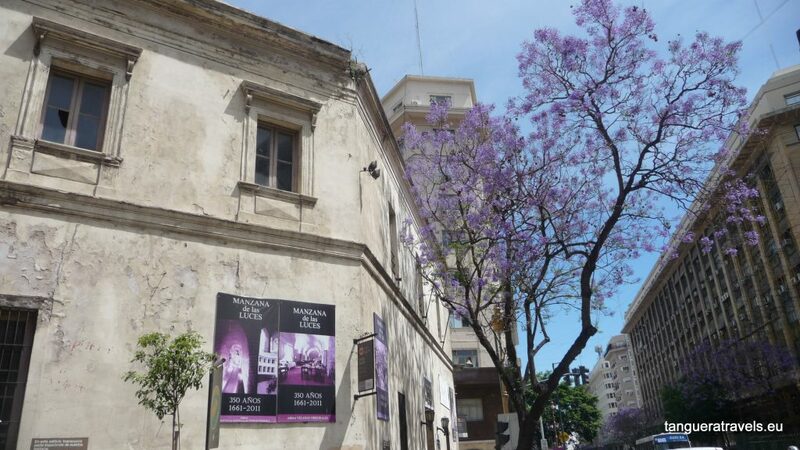 Originally a Jesuit settlement dating back to the late 1600s, the Manzana de las Luces (which literally means “block of lights”) is one of Buenos Aires oldest sites. Today it’s a cultural centre which hosts theatre, cinema, concerts and exhibitions. There is also a permanent indoor market which is open on weekdays, a library and a restaurant. 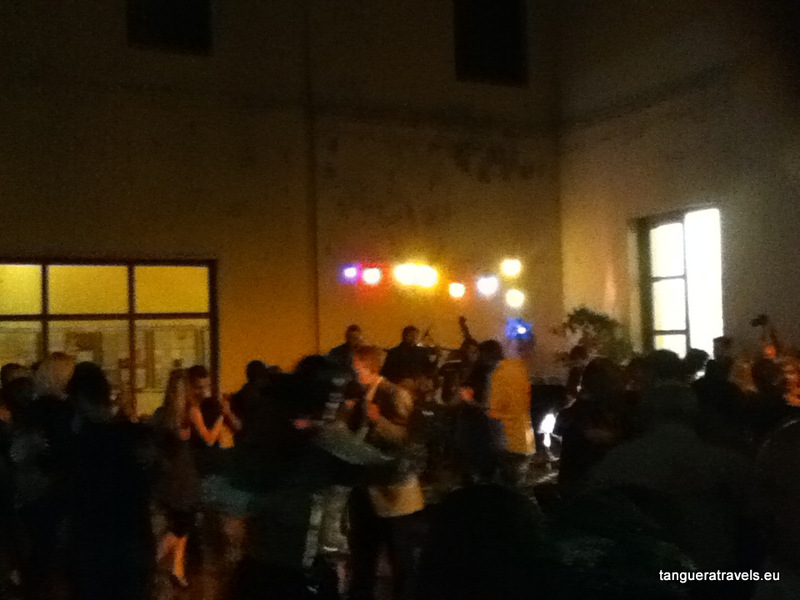 The milonga on Friday night takes place both inside (in two different rooms) and outside on the patio. The evening I was there, there was live music. Entrance is free and a hat is passed around later in the evening for voluntary contributions for the musicians. There was a mixed age range and as far as I could tell, there were more Argentinians than tourists. The atmosphere was very relaxed and invitations were mostly verbal. I danced many nice tandas here. So far this is my favourite place to dance in Buenos Aires, but I know that I barely scratched the surface. 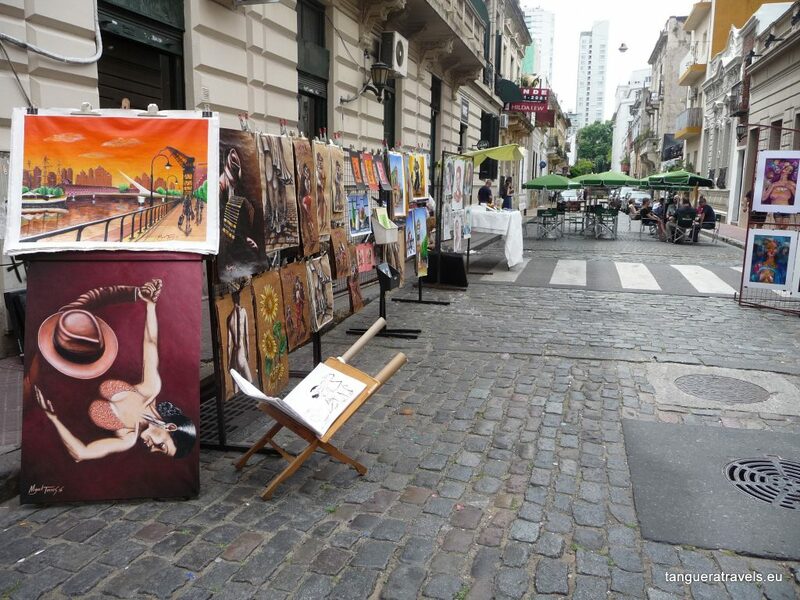 – If you are travelling alone and it’s your first tango trip to Buenos Aires, I highly recommend “Happy Tango” by Sally Cat. 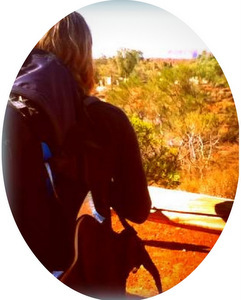 Sally is a British expat who came to Buenos Aires to learn to dance and ended up staying there. While some of the information on individual milongas is no longer up to date (this is constantly changing in Buenos Aires), the book is still an excellent introduction to Buenos Aires tango culture with loads of useful advice and tips. There is also a facebook group and a blog. – Most milongas have their own facebook pages and I have included links to these in the post when available. You should be able to consult these even if you don’t have a facebook account. – The information in this post is based on my experience of visiting Buenos Aires in November 2016. It’s a good idea to download the Hoy Milonga app to stay up to date on milongas, classes and practicas once you are on the spot. Have you danced tango in Buenos Aires or are you thinking about it? I’d love to hear from you in the comments below! I am getting knowledge everyday by reading thes pleasant posts.